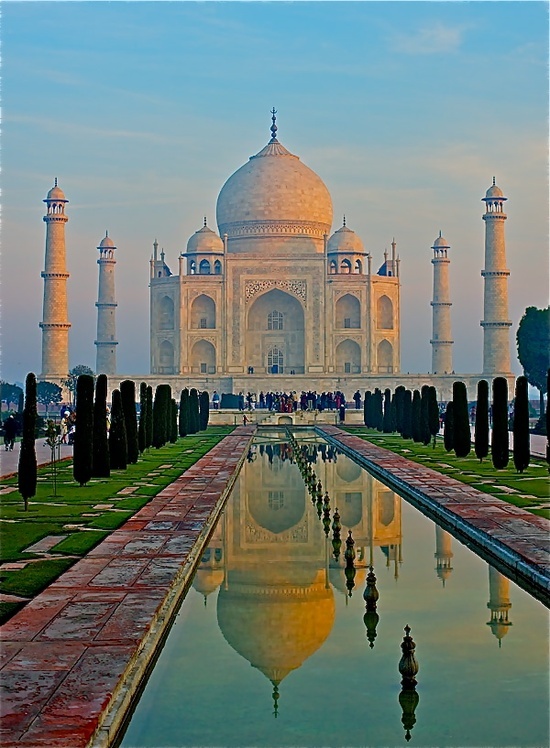 Taj Mahal is a white marble mausoleum located in Agra, Uttar Pradesh, India. It was built byMughal emperor Shah Jahan in memory of his third wife, Mumtaz Mahal. The Taj Mahal is widely recognized as "the jewel of Muslim art in India and one of the universally admired masterpieces of the world's heritage". Taj Mahal is regarded by many as the finest example of Mughal architecture, a style that combines elements from Persian and Indian architectural styles.